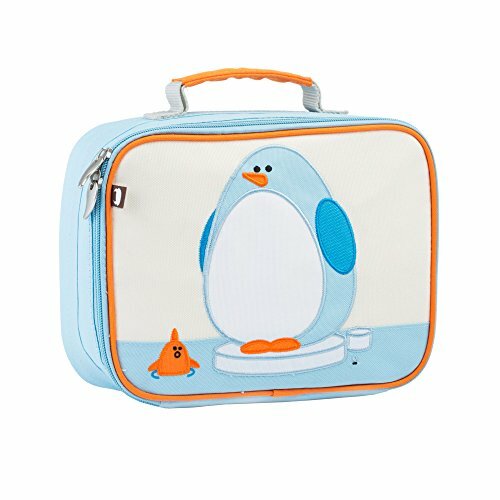 These insulated lunch boxes are a playful way to keep tuna sandwiches and carrot sticks fresh until lunch time. Made with heavy-duty nylon and machine washable for kid-proof durability and easy cleaning. Back side has a name tag and a zipped pocket. Tested PVC Free, phthalate free, and lead free. (10 x 7.5 x 4") Beatrix New York is a New York City based company devoted to creating cool, contemporary stuff for kids. Our products combine a childlike love of whimsy and imagination with a grown-up sense of modern design and style. You'll find our Maakun Forest adorable characters and colorful graphics on products designed with a focus on simplicity, quality, & fun. We try to design products that kids will love and manufacture them so the love lasts.